Broadly speaking, there are two types of bridge played today. "Contract bridge" (i.e. "rubber bridge") is the most popular form, played by four players. 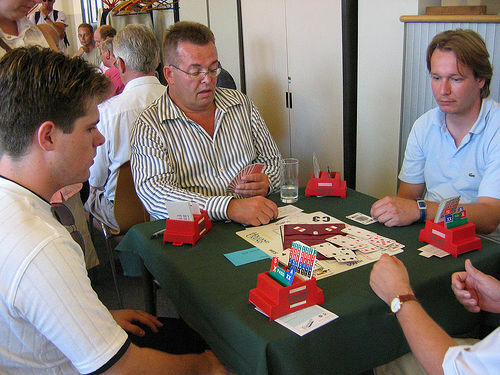 "Duplicate bridge" is a tournament format that still incorporates four players at a table, but allows for many tables to compete against each other. Contract Bridge is an auction and trick-taking card game for four players. The aim of the game is to earn points by winning as many tricks as possible. The players are divided into two teams of two. Each player is designated a compass direction, with partners sitting opposite each other (i.e. East-West will play against North-South). The game is played with a single standard 52-card deck. 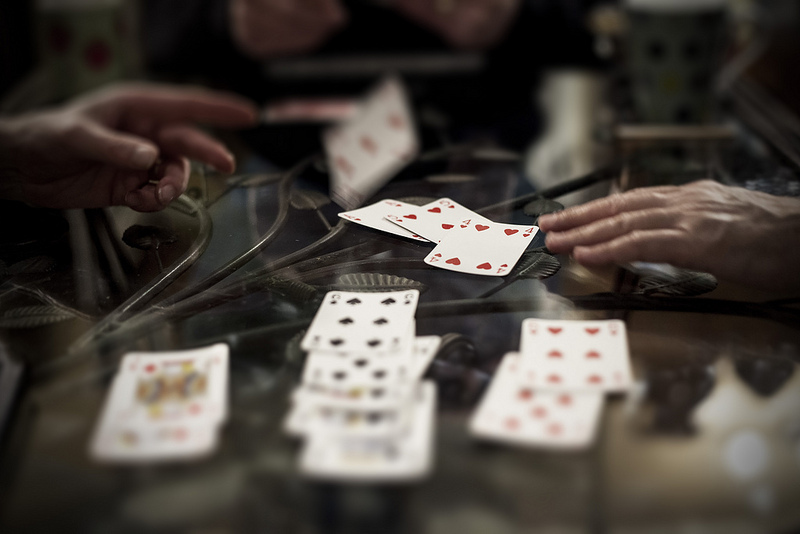 While Rubber Bridge is undeniably a game of skill, the random of deal of the cards can affect the outcome in the short-run, making it unsuitable for large scale competitive play. To circumvent this, Duplicate Bridge is played in clubs and tournaments. Instead of shuffling the cards between each deal, the hands are preserved and played by every pair or team. Then the teams' relative performances are judged. This makes for a much fairer game, where runs of high cards are irrelevant, and every hand can be crucial.